(Updated!) 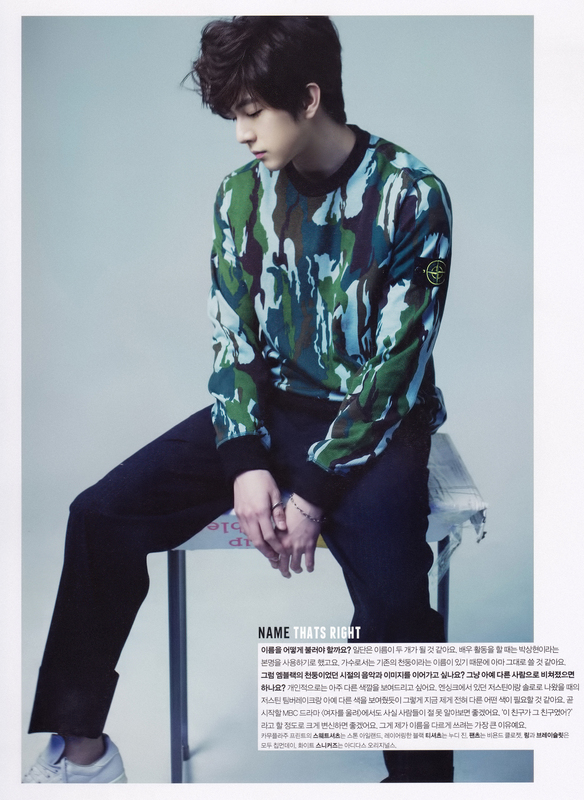 Cheondung in Nylon Korea April 2015 issue | OH THUNDER! Full HD Scans + Interview Translations under the cut! 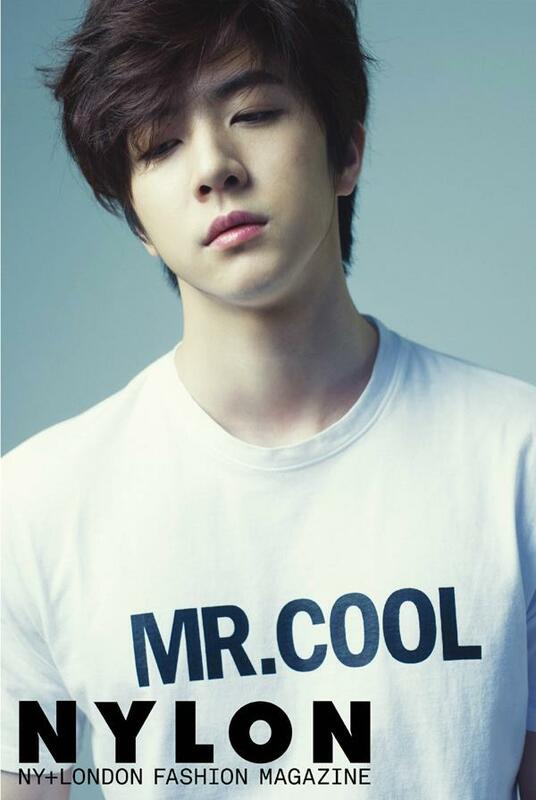 Finally we’re meeting musician Cheondung, who is also known as actor Park Sang Hyun, is beginning his new start. 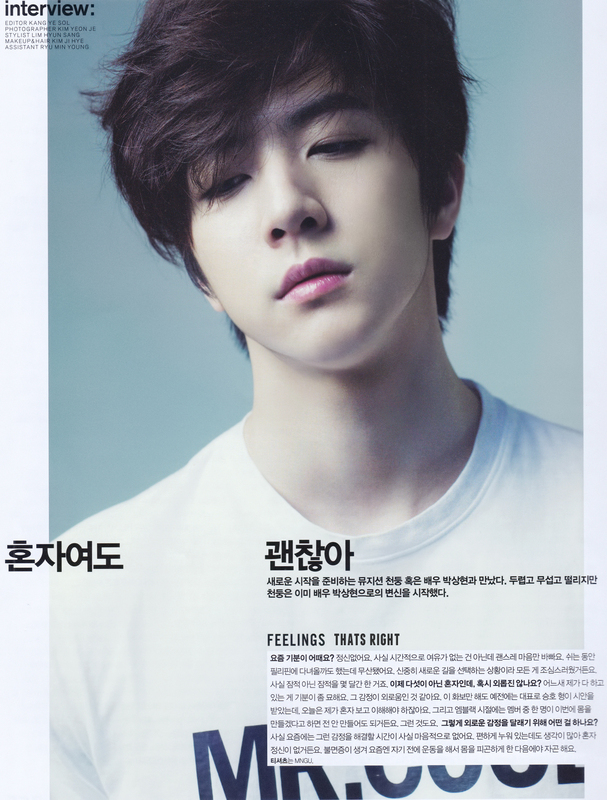 Although he’s a little scared & nervous but Cheondung has already transformed into actor, Park Sang Hyun. How do you feel recently? I can’t get my mood up. It’s not that I do not have time for leisure, but there’s no reason why I’m feeling so uneasy & busy inside me. During my break, I’m still wondering whether or not I should return back to Philippines, however did not fulfil it. Because it’s about considering my path to a new beginning so I’ve to be really careful. This have been ongoing for a few months. Now you’re no longer with the members, leaving yourself all alone. Don’t you feel lonely? Actually being alone while doing things, the feeling is just special. Maybe I’m feeling lonely inside. Even during photo shooting, in the past, Seungho hyung as the representative used to guide us. Today I’m alone taking charge of everything & understanding it. During the time with MBLAQ, if one member says that he want to go to gym, I can also choose not to. In order to chase away the loneliness, how do you do it? Actually recently, I don’t really have the time to find solution to chase away this loneliness because even while lying in bed, I’m still thinking about lots of things which makes me not being able to bring my mood up. And because of insomnia, now and then before I sleep, I will exercise to make myself feel really fatigue before sleeping. So how should we address you as? Just address me by 2 names. When I’m doing actor’s activities, address me as Park Sang Hyun. 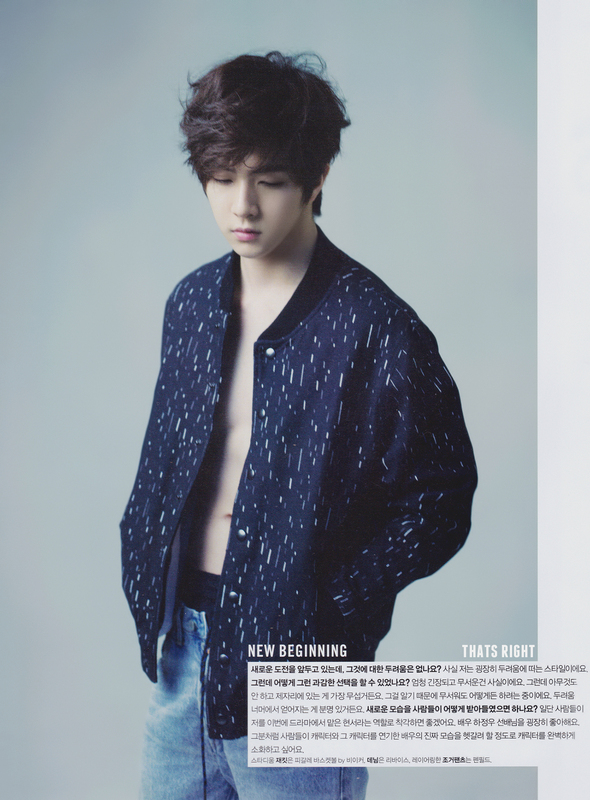 While carrying out my singer’s activities, as Cheondung is the name I use in the beginning so I will continue using it. 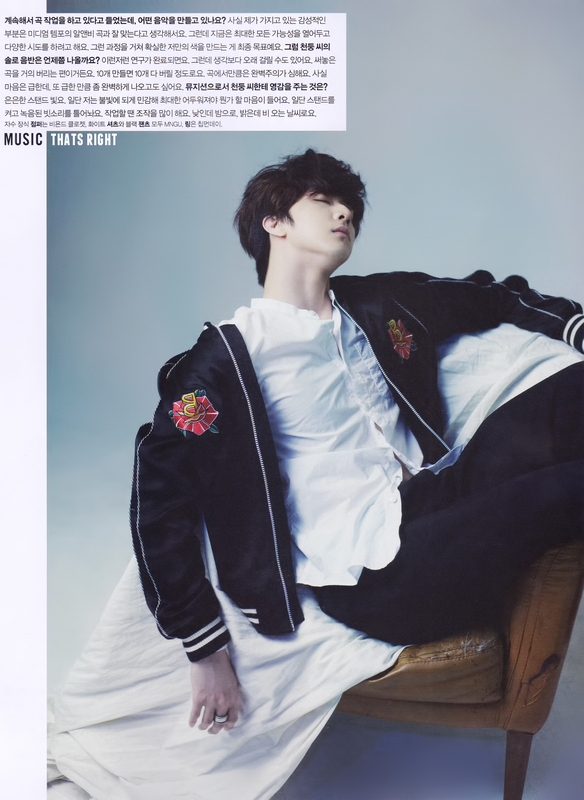 So will you continue using MBLAQ’s Cheondung for your music industry and image? Or are you daring to try out a totally brand new image? From my perspective, I really hope to show a different style of me. Like Justin from N Sync previously & solo singer Justin Randall Timberlake, to show everyone a different style which I really think I need to change. On the upcoming MBC Drama “Let The Girl Cry”, really hope for the audiences to not recognise me & at the same time let them think “Is this guy the same guy we all know?” to such a degree. This is the main reason why I insisted on using other name(Park Sang Hyun). Have been hearing that you’re composing songs. So what songs have you composed? Personally, I feel that media tempo & R&B will be a great mixture. But now I’m carrying high hopes hoping to make a different style of music. Although the procedure will be tough but I really hope to achieve my own colour(success). So when will Cheondung’s solo album be release? I will study about this & that after completing it. But the time required will be longer than expected. The songs that I’ve completed composing are mostly discarded. Wrote 10 songs & discard all 10 of it, this is how it goes. There’s an ideal song that I hope to compose. Although I may feel rush but even when I’m rushing out this piece of work, it has to be perfect. What is the thing which inspires Composer Cheondung? The dim spotlight shining. Firstly, I’m quite sensitive to the brightness of the light. Only in a darker spot then can I focus on doing my stuffs. When turning of the light while doing recording, I’m able to hear the rain sound. Even when composing, I will tweak a little. For example, it is supposed to be daylight but I wrote it to dark night. When it’s sunny day, I wrote it as rainy day. The new challenges will be at the headstart. Isn’t there a thing you’re afraid of? Truthfully, I’m not the type of person who will be scared easily (horror style). Are you able to make a bold decision? It is true that I’m really nervous & afraid. Just because I know that I’m afraid so I will think of ways on how to do & overcome it. Really like actor Ha Jung Woo aka film director. Really hope to be like him to be able to bring out the character of people and study the different character in drama & merge these different characters & present it perfectly. When did he become so melancholic? He’s introspective, too, like his sister.